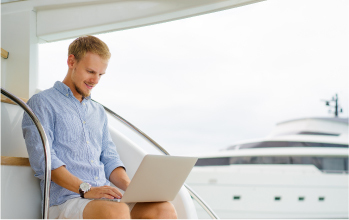 PC Plotter is a simple to use PC or laptop chart plotter designed for sailing, motor yachting, diving and fishing. Easy installation and use are key features of PC Plotter and if you disagree, we will refund your money! PC Plotter can be used in real time, with GPS and NMEA 0183 or 2000 instrument data including AIS. Without a GPS, planning routes is easy and includes, Dead Reckoning, Distance Off and Bearings from Landmarks, etc. 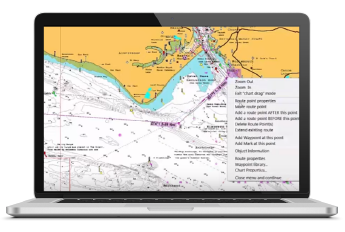 PC Plotter uses Navionics Vector charts (Navionics Gold, Platinum, Silver, SonarChart™ and Hotmaps+) that are stunning in detail, look like paper charts and layers of unwanted information can be turned off. PC Plotter can display downloaded GRIB and Theyr weather data files.